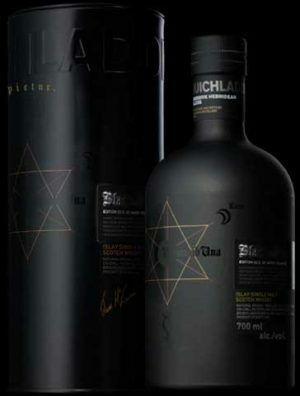 Titanic amounts of peat (167 ppm) but with a light, delicate complexity and a beguiling finesse. Young, yet eminently mature. 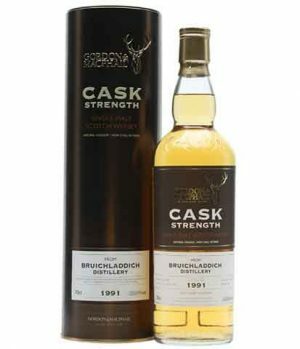 A single cask Bruichladdich distilled in 1992 and bottled by Duncan Taylor for their Octave range of whisky. 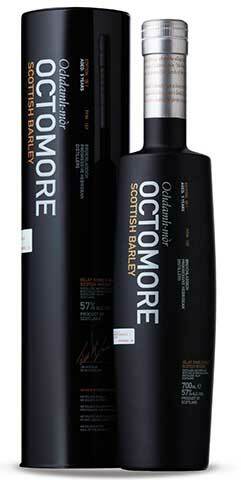 Octave's are small casks which offer an increased surface area to promote liquid to wood contact. 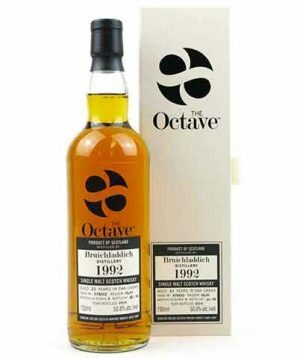 This 1992 Octave bottling was bottled in 2014 after 21 years in oak casks. Cask #978052 which yielded at total of 88 bottles. 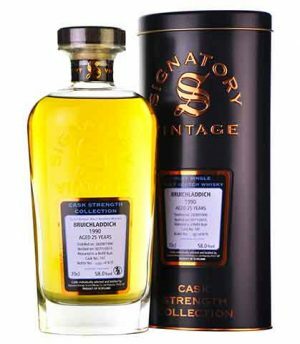 A 25-year-old Bruichladdich bottled by independent bottlers Signatory Vintage. Distilled on 26/9/1990 and bottled on 2/11/2015. Cask No 141, 619 bottles produced. 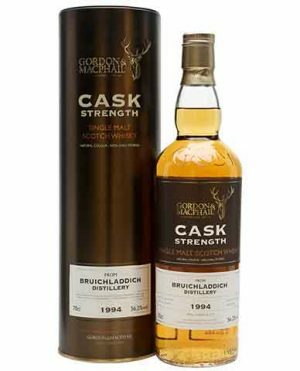 This 1991 vintage Bruichladdich was bottled by Gordon & MacPhail as part of their Cask Strength series. Distilled on 9 October, it was matured in re-fill American hogsheads for 23 years and bottled on 24 April 2015. "Sweet and floral, with honey, orange zest and violet. Peppery Palate with banana and apple. Strawberry hints complemented by a chocolate edge"